Once the relatively sole purview of magazines, cable TV and book of the month clubs, subscription business models are now popping up all over. Software, once purchased and installed on one computer at a time and repurchased when a new version became available, is quickly being replaced by monthly subscriptions. Ownership of the product remains with the provider and access is subscribed to consumer users over time. 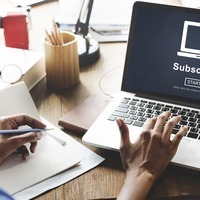 The expansion of subscription service is being driven mainly by advances in technology where barriers to forming and maintaining ongoing consumer/marketer relationships are eased or eliminated. For a monthly fee, consumers can now contract with providers for everything from personal care, fitness, movies and entertainment to financial services. Many believe that the larger market is seeing the beginning of the end of personal ownership. A McKinsey report found that the value of online subscriptions rose from $57 million in 2011 to $2.6 billion in 2016. While the subscription e-commerce market has grown by more than 100% percent a year over the past five years, the growth of the model has been accompanied by a significant amount of trial and error and as much pain as gain. With subscription business models, revenue is generated from individual customers making recurring payments for continued access to a good or service over an extended period of time. 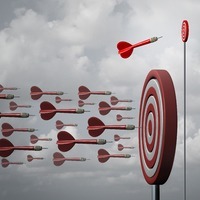 The challenges to success are many, but matching customer demand for utilization with a price for the service is perhaps the most critical calculation. MoviePass, the subscription movie ticket upstart, paid each movie theaters’ full price for their subscribers’ tickets. The price was predicated on estimating how many times each month customers would utilize the service. When it was discovered that 15 % of customers were visiting theaters more than what was predicted each month, the difference between projections and reality resulted in a $147 million loss for the emerging business. Getting the price right is critical. If the price isn’t perceived by the consumer to be a good value then the service will fail to launch. However, set the price too low and sustainability and growth of the provider company will be elusive at best. Ultimately pricing should be flexible enough to respond to unanticipated volatility in demand and new competitive market entrants. Longer term pricing rates will provide opportunity to level market demand over time and give providers more time to form stronger connections with individual customers. Building strong, ongoing customer relationships are important to every business but are particularly critical to subscription services where referral from family and friends generates three to five times higher conversion rates than any other channel of marketing. Subscription service, once thought to be nothing more than a threat to profit margins by many traditional business model executives, is finding converts even among the most skeptical. The trend appears to be gravitating towards each brand offering their own unique pricing plan rather than third party player offerings across multiple brands. The rate of acceptance and transition also is dependent upon the maturation of consumers, particularly among those who still find comfort in one-time payment for ownership. As the fine-tuning continues in delivery and more consumers cross the divide between traditional ownership to shared usership, it is likely that subscription services may just find their way into every imaginable type of product or service business. Just another case where fundamental market disruption results in the demise of the “it won’t work here” premise. With more than half of the world’s population now using social media platforms to communicate, marketing via these platforms is no longer optional for brands looking to expand their reach. Ninety-five percent of adults between the ages of 18 and 34 years of age are most likely to follow brands via one or more social media outlets. Global penetration rates for mobile devices are exceeding 42 percent as nearly one-million new people each day use their mobile social media devices. With high return on investment (ROI), marketers are rapidly ramping up social media marketing spend. However, achieving long-term success with social media marketing requires building partnerships and relationships with prospective consumers. The process of identifying which platform performs the best for each product and service can be complex and expensive if not managed effectively. Roberto Blake, owner of digital agency Create Awesome Media believes brands need to understand how to translate the relationships they’ve built and the lessons they’ve learned using a platform into the larger platform ecosystem. As many of these social media networks mature, they focus more on a one-to-one “small group” connection with users. “People are realizing you don’t have to be super big; you can just have influence on a smaller group and have a wonderful business,” says Andrea Vahl. With a platform now available for nearly every demographic, social media marketing can no longer be ignored regardless of business size, but risk must be managed carefully in order to make the best use of content marketing spend. Planning is at the forefront of any digital marketing strategy. Efficient and effective content must be timely and targeted to specific segments with messaging that builds brand recognition and drives sales. Having a calendar of content for each platform will greatly improve performance by having the right messages ready to go at the right time. 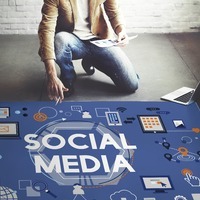 Social media management tools from HubSpot, Buffer and HootSuite can be particularly useful. In general, Images still trump prose when communicating lengthy or complicated messages. Bite-sized chunks of information that are concise and to the point work better than lengthy script considering the audience’s usually short attention span and the fact that most conversations are taking place across mobile devices. Measure the effectiveness of the marketing plan and strategy on an ongoing basis and make necessary adjustments as necessary across all platforms. Comprehensive management will take time but the rewards of a successful process can be considerable and very cost effective. If you don’t have the time or experienced staff to dedicate to the process, it can be beneficial in time and quality to form a working relationship with an outside social media specialist. To learn more about how Junction Creative Solutions’ team of professionals and partners can help you create an impactful social media campaign to advance your brand reputation, call 678.686.1125 today. Niche markets are quickly becoming popular opportunities for small to mid-sized companies looking to survive among large businesses. Specialized markets are not new. They have always had a place in the larger and broad-based markets that volume business models have historically been willing to overlook. Often considered too small to generate the required return on investment (ROI) usually courted by mega marketers, niche markets can be a haven of profitability for businesses willing to focus on the more fastidious consumer. Considerable success can be achieved by focusing on serving market segments that large competitors are unable or unwilling to serve. Niche markets exist across the entire spectrum of business and industry, consumer and business to business (B2B). Niche market success demands authenticity. Losing focus and trying to be someone you are not will derail progress to sustainability. Understanding the intricacies of both the targeted consumer and the solutions they are seeking is vital to credibility. Faking it can be fatal. In a mega-marketing world where more often begets more, there exists a place where less equals more and where the small and few can outperform the large and the many.